Accidents and unforeseen events happen every year to one or more of our clients. They may suffer an injury that prevents them from coming to the trip in the first place — after they have paid for flights and their ski touring trip. Or they might be injured during a day of touring — something as simple as an awkward fall might result in a sprained ankle could keep them from finishing the week and require an evacuation to a hospital for treatment. It likely goes without saying that we cannot be liable for any of the expenses that might result from a cancelled trip or an evacuation and so we strongly recommend you consider protecting yourself with a suitable insurance policy. There are several different classes of insurance coverage to consider when planning a ski touring trip with Sawback Alpine Adventures. Traveller Emergency Medical: This includes expenses as they relate to a medical emergency you encounter during the trip, e.g. an illness or injury , including emergency medical care at a hospital, medication, etc. Trip Cancellation & Trip Interruption: If you need to cancel your trip before the trip starts, or something happens during the trip that means you have to leave early (either a personal emergency you need to attend to at home or an injury) then this insurance will cover you for your related expenses and loss of your deposit and payments. Adventure Sports Optional Coverage: Almost all trips with Sawback Alpine Adventures are classified as “Adventure Sports” activities. Be sure that you get insurance that does not exclude adventure activities: i.e. mountaineering, backcountry ski touring and expeditionary type activities. We strongly advise you obtain Traveller Emergency Medical / Rescue / Evacuation Services coverage with Global Rescue Services (click link to enroll). This is the most bulletproof remote and extreme locations rescue insurance available worldwide. 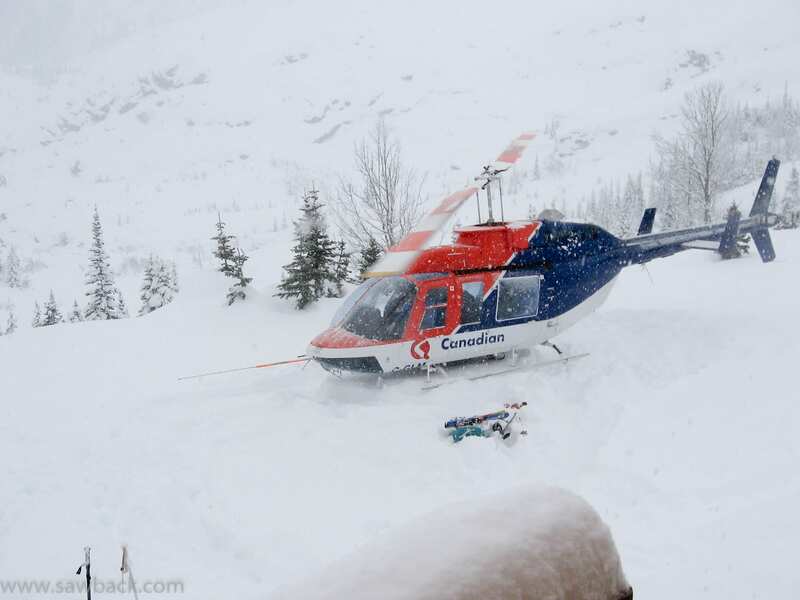 GR specializes in Emergency Medical and Evacuation/Rescue insurance and does not provide trip cancellation/interruption coverage. This insurance is available to all of our clients regardless of nationality or residence. Global Rescue also offers a “Trip Cancellation for Any Reason” coverage (pretty incredible, although it comes at a price) as well as standard Trip Cancellation packages (click for a comprehensive information package). If you are a Canadian resident seeking Travel Insurance including Trip Cancellation, Trip Interruption and Emergency Medical insurance then you may wish to get a quote from Lifestyle Insurance. Finally, many credit cards provide trip cancellation and trip interruption coverage. It is often limited / restricted and/or comes with exclusions, which may make it unsuitable for your situation. Please ensure that you consult with your credit card company, preferably before paying for your trip with your credit card, to be sure that you have the coverage you need.